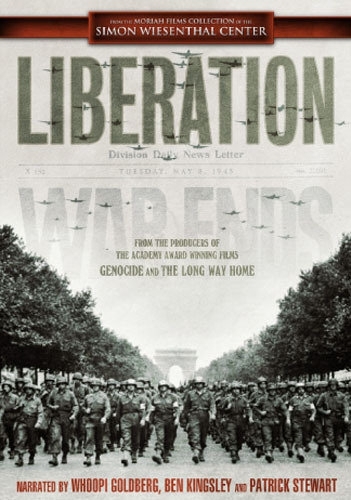 Liberation tells the dramatic story of the battle waged on two fronts during World War II - the Allied campaign to liberate Europe and Hitler's genocidal campaign against the Jews. The World War II documentary uses film footage, radio broadcasts, and period music gathered from archives around the world. Interwoven throughout the film are the compelling stories of the Jews of Europe - unforgettable stories of tragedy, courage, resistance, and survival. Liberation begins in 1942, when Adolf Hitler was still at the height of his power and the Allies began envisioning a cross-channel invasion of Europe. The film takes you behind the scenes to illuminate the strategies and deceptions for the combatants on all sides - from America's and Britain's Home Front to wartime London, Moscow, Washington, D.C., and occupied Paris to Berlin. From Churchill to Roosevelt, from Stalin to de Gaulle, to the Nazi leaders - to the battlefields alongside generals and ordinary soldiers - the film's panoramic sweep records those fateful years. The film exposes the audience to the inescapable and sobering reality that while Hitler was losing the war on the Allied Front, the Nazis were winning their war on the Jews and other innocent victims of the Holocaust. The film reaches its climax with the dramatic liberation of Paris, the Benelux countries, and the death camps, through to V-E Day. 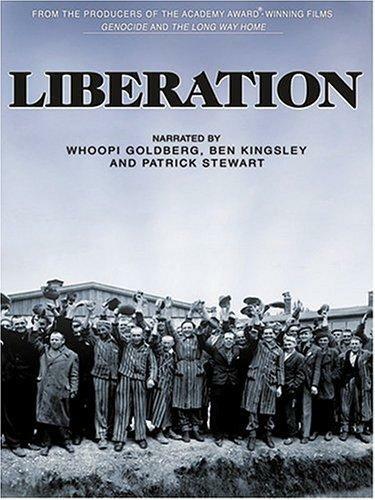 Narrated by Ben Kingsley, Patrick Stewart and Whoopi Goldberg, Liberation was a featured selection of the Berlin, Deauville, and Seattle International Film Festivals. It has been broadcast on Cinemax and the Discovery Learning Channels in North America, Great Britain's Channel 4, and in numerous other countries around the world.